Formed 13 Jul 1943 in Stavanger-Sola. Disbanded Jul 1944. Formed 13 Jul 1943 in Tromsö/Søreisa from 3./Kü.Fl.Gr.406. In Aug 1943 1./SAGr.131 and 3./SAGr.130 exchanged designations. 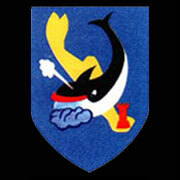 Disbanded Jun 1944. * detachment at Sevastopol, Feb 1944 - 8 Mar 1944. Formed 13 Jul 1943 in Tromsö from 3./Kü.Fl.Gr.906. In Aug 1943 2./SAGr.131 and 1./SAGr.130 exchanged designations. Disbanded Dec 1944.